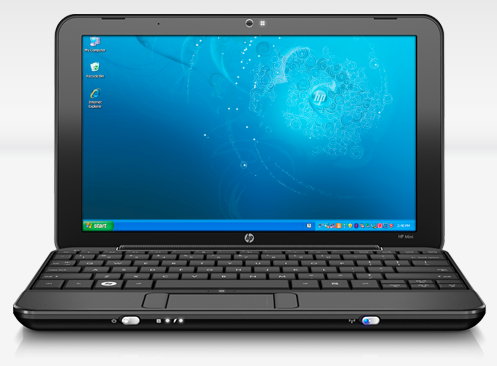 I have the HP Mini 1151NR through Verizon Wireless. Every time I take this little guy out with me people ask questions “Do You Like It”, “How Much Was It?” etc. Let me just start by saying that I am a web developer and purchased this Mini as my on-the-go, non-development laptop… & Yes, I love it . I picked up mine refurbished and it was only $150.00 after a mail in rebate plus extending my 2 year data plan which had ended. I am a Multi-Media developer, I founded and developed Facefinder.com and bSpot.tv and I likely utilize my Mini a bit more vigorously than the average user. I do all the basics (word processesing, email, FB, Twitter etc) but I also utilize it to stream live video/audio broadcasts and entertain with music at parties. This Mini comes with aprox an 80GB hard drive, 1GB of ram and a 1.60GHz processer (all specs can be found here http://bit.ly/hEqRmX). I purposely do not load a bunch of programs to it so that it will run as efficiently as possible with my multi-media tasks. I inserted the XP disk and reformatted my drive, I then loaded Windows XP Home addition but could not get on my local wireless network nor LAN to work. I had a real problem tracking down all of my drivers so I called HP (India) and was told they could help me for $50.00… Luckily I chose to look around a bit longer and found what I had been looking for…for free. The page above from the HP web site has all of the drivers you will need to get back online and fully functional. Start with the BIOs upgrade (6th from bottom), then the Chipset (second from bottom). You may then want to go for the Graphics driver (3rd from bottom) because your screen resolution will likely be jacked up. You’ll want to load the top 2 drivers under Network to get yourself back online, but Loading the Bluetooth driver is up to you..if you are not going to utilize Bluetooth, then don’t hassle with it (I’ve used the bluetooth with Skype on my mini but was not impressed by the sound quality, sort of choppy). The only driver you will NOT want to load is the Audio (1st on list). The IDT driver offered on that page DOES work, however it is NOT High Definition. You’ll notice that there is not both a mic and earphone jack on your Mini…only one jack wich acts as both. I believe this has something to do with the LOW Fidelity sound you’ll get if you plug in headphones or external speakers. To improve your audio experience NOTE: if this audio driver does not work for you (you get an error), see post update farther down the page from 3/8/2012! I tracked down the High Fidelity IDT driver and it works fantastic with the Mini. I use external speakers daily and stream Pandora, iTunes and more..it sounds great. Evidently it’s a driver meant for Windows Vista but works great on this Mini with XP. I did not load anything under the Solutions section. I’d tried the HP Connection Manager but was not terribly impressed. That is it, from here you should be back online with a great sounding Mini HP! Quick Update: March 8, 2012…. My mini started giving me issues again (slowness, F1 Boot errors saying my drive was crashing etc). Also, since I last wrote this I’ve dropped my Verizon data package on the mini because I upgraded my phone to the Droid Razor with the hotspot…no need to pay for two data package when I can wirelessly tether to my phone with my mini. The good news is that the mini works great with my phone, and I’m saving money on my phone bill. Also, I was able to completely reformat my mini and have it up and running online in about 30 minutes using the information listed above. One difference however was the Wi-Fi. In my home I’ve updated my router to the Netgear N600 Dual Band router. For better security I set my ‘Wireless Security Option’ to WPA2. Well we are thrilled with our router around the house, the Wii and the iPods all run better and faster…however this mini with ‘Windows XP Home’ did not support WPA2, it was looking for WEP. Luckily, the issue was resolved quickly when I found that there was a ‘hotpatch’ for Windows SP2 that updated the wireless configuration ability to include WPA2. After installing first the SP2, then the hotpatch, I got up and running on my home network in seconds. Audio issues: Even though nothing has changed on my mini, for some reason the IDT driver I link to above errored out on my laptop this time around. After a bit of trial and error, I was able to get the High Fidelity driver to work after installing the following driver FIRST. If the above aproach worked and your mini sounds good (via headphone’s or external speakers), then ignore this part…but if it sounds like crap & you attempted to install the IDT driver linked above and got an error, try installing the following two drivers, this worked for me. That is all, for the second time, my HP Mini is up and running great..this time all avoid loading a bunch of apps and just use it for email, music and such..tethered wirelessly through my Droid Razor ;0).